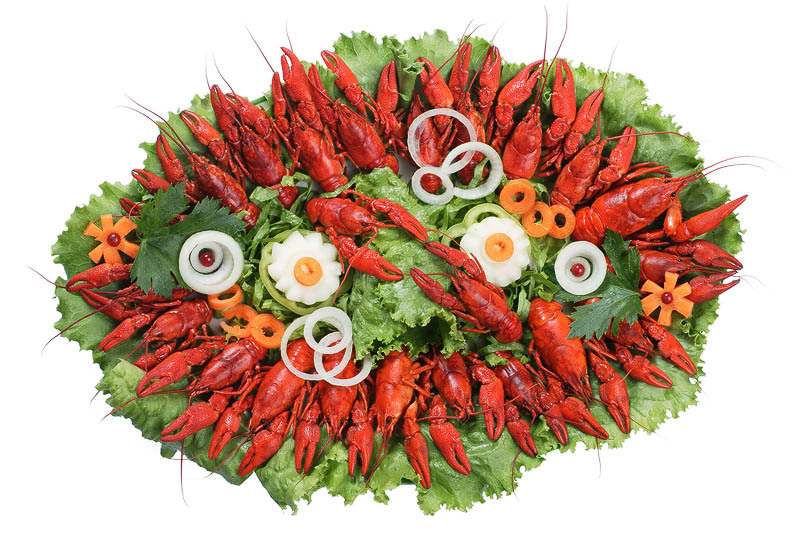 Colourful delicacy dish with red crawfishes on green lettuce leaves arranged with slices of onion, carrot and green pepper. Dainty seafood with fresh vegetables. Beautiful arranged cooked crabs. Red lobsters on green salad and white background.